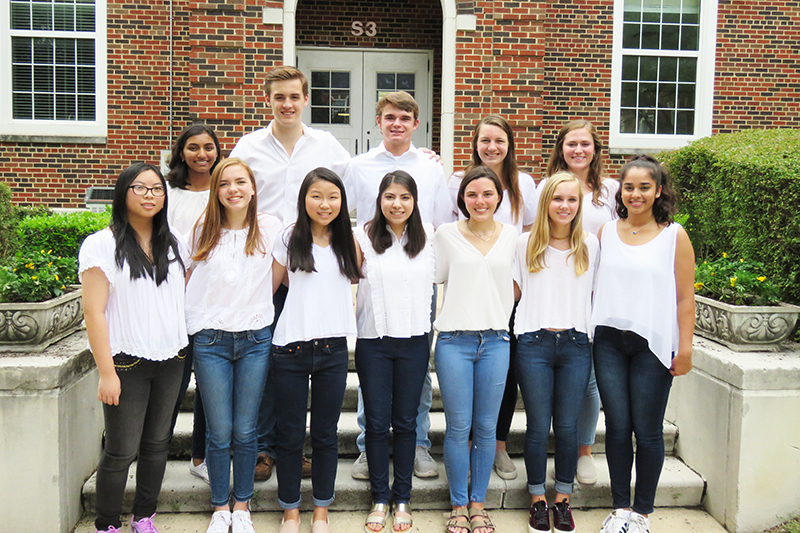 HPHS Community Service Council, which leads campus-wide service projects and tracks student service hours, has named its 2018-19 officers. FRONT ROW, FROM LEFT: Jean Ye, tech chair assistant; Shaye McKinney, MADD co-chairs; Anna Chung, president; Miya Malouf, vice president; Lizzy Brimmage, tech chair; Gracie Tucker, meeting chair assistant; and Emily Mahmalji, drives co-chair. 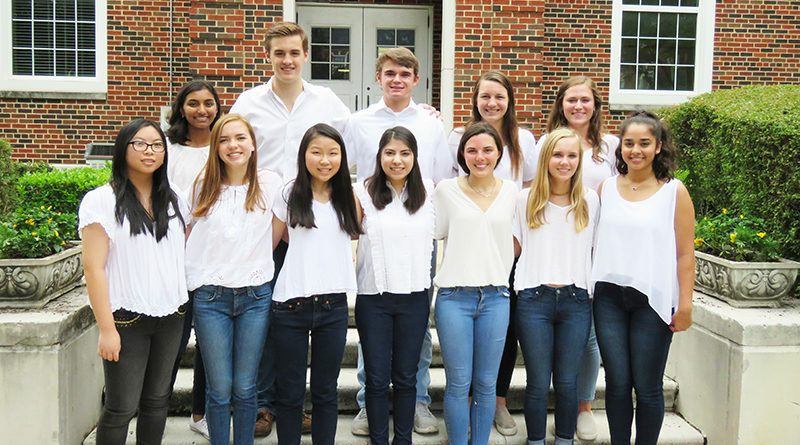 BACK ROW: Anjali Patel, senior hours co-chair; William Jackman II, drives chair assistant; Patrick Shearer, public relations; Sarah Dalton, MADD co-chair; and Jessica Boyer, senior hours co-chair. NOT SHOWN: Kylie Benak, senior hours co-chair; Chris Read, meeting chair; Anna Garrett, drives co-chair; and Leon Khakpour, MADD chairs assistant.